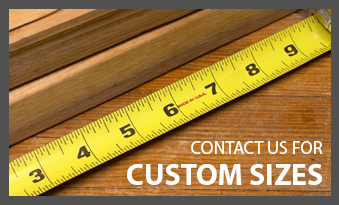 Fitting Furniture is a Furniture manufacturing company located in the south eastern Melbourne suburbs. We aim to provide an extensive furniture catalogue on-line with products to available to purchase in standard or custom sizes at no extra cost. We manufacture using the latest in automated computer controlled equipment, which ensures accurate and high quality products. Because our equipment allows us to manufacture our products on demand, we don't hold any stock of our furniture, but instead produce products within our specified lead manufacture time. These efficiencies allows us to offer products at reasonable prices. We further reduce our costs by making our furniture easy to assemble by a relatively handy person, with all fittings pre-drilled to ensure easy and accurate assembly as if the unit was assembled by an expert cabinet maker. All our products come with easy to follow step by step instruction booklets. Our standard service (and the way we keep our prices low) is to make our furniture available for pick-up or deliver flat pack to your home or office ready for you to assemble yourself. However we also have a assembly service available in some locations. With most of the furniture now available in shops being imported, by purchasing your furniture from from us you are not only supporting us but you are ensuring that our other Australian local suppliers are supported. Most notably the local timber industry as we only use wood products manufactured in Australian timber mills. If you are a Retailer that would like to stock our products we welcome you to create a wholesale account which will allows you to order our products at a discount rate. A significant amount of resources is invested in designing our products so feel free to leave product reviews, and of course we welcome any feed direct back both on the design and the quality of the product itself. And if you have any suggestions for new products we should add to our catalogue let us know we are always interested in new ideas. Remember the best complement you can give us is by recommending us to others! !